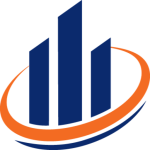 Our mission is to provide the highest quality commercial real estate services that will add value to our clients. We will deliver timely custom tailored services by understanding your needs first, and then providing real estate advice maximizing flexibility, utility, function and value for all stakeholders. SVN | Imperial Realty Commercial Real Estate Advisors bring the benefits of over 120 years of combined professional real estate experience in the Lehigh Valley to you. Our understanding of the local and national landscape combined with expertise in how real estate decisions impact your balance sheet and overall value will assist in decision making that is in line with your company or investment strategy. The SVN® brand was founded in 1987 out of a desire to improve the commercial real estate industry for all stakeholders through cooperation and organized competition. SVN is now a globally recognized commercial real estate brand united by a shared vision of creating value with clients, colleagues and our communities. When you choose SVN you mobilize the entire SVN organization of experts and all our trusted relationships to act on your behalf. This Shared NetworkSM is the SVN Difference.